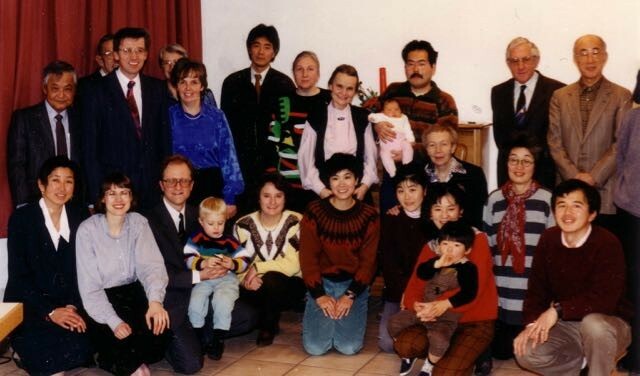 In May 1993, on the way back to Switzerland from his first home-assignment, OMF Japan missionary Hans-Ueli Gerster received a vision from God: to start a church for the Japanese people living in Switzerland. He knew from experience that, even if one can speak and understand foreign languages, the matters of the heart are better received and communicated in one`s own language. So he began to pray, together with his wife, Wendy, for God`s guidance in this matter. 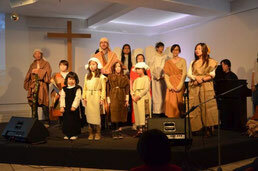 God moved the hearts of missionaries from various missionary agencies, as well as those of Japanese Christians who lived in Switzerland, and five months later the vision became reality! A constitution for the Japanese Evangelical Church in Switzerland was drawn up, and the home church of the Gersters, the Chrischona Church of Uster, offered the use of its premises, and the first service of the new Japanese church was held there on 28th November 1993. Four months later, the Gersters returned to Japan in order to continue their missionary work, but God kept His hand on the infant church in Switzerland and sent them the leaders it needed. Some who attended the church were only in Switzerland for a limited time, and the numbers of attenders constantly rises and falls, but thanks to committed members and permanent residents the church has steadily grown. Today the church is led by Pastor Martin Meyer of the Liebenzeller Mission and the total number of worshipers have increased to over one hundred at a recent Sunday service. Although the services are held in Japanese, the church places great value on translating as much as possible into German, in order to enable couples and families from culturally mixed backgrounds to worship God and learn together from the Bible. The members know what it is like to be foreigners in a country that does not speak their own language, and they offer each other, and newly-arrived Japanese, both emotional and practical help and support for life in Switzerland. The children and young people at the church also enjoy special friendships with each other that are based on their shared intercultural experiences. 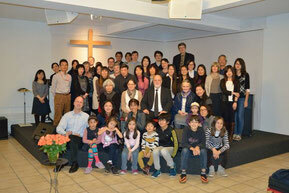 We hope you will come and visit us and experience the warm, friendly atmosphere at the Japanese Evangelical Church. You would be very welcome!